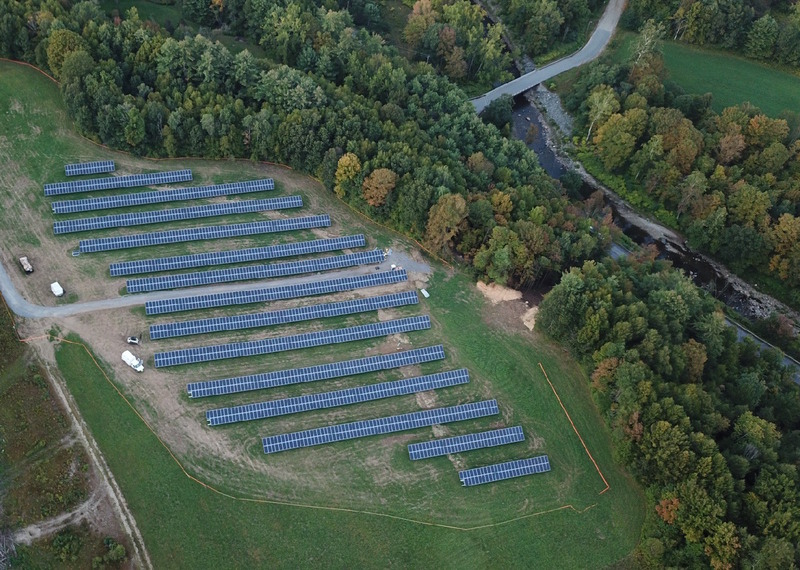 Mount Snow, Kendall Sustainable Infrastructure, LLC (“KSI”) and Green Lantern Development, LLC are pleased to announce the commencement of operation of two new solar power projects in Southern Vermont. The two projects have a combined capacity of 1.5 megawatts of power, and will create power that will offset Mount Snow’s electricity usage and will reduce its energy bills for the next 20 years or more. Together, the two systems are expected to generate 1.8 million kilowatt hours in their first year of operation and 34 million kilowatt hours over the next 20 years. “We are pleased to enter a long-term partnership with Mount Snow. It is a longstanding iconic Vermont resort that will benefit for many years to come from the power created by our solar projects,” said KSI managing director John Chaimanis. Vermont solar developer Green Lantern Development, LLC served as the developer and general contractor for both projects. “These are another two accomplishments in our series of solar projects. Vermont has become a hub for solar development and now serves as a model for other states to incorporate solar into their energy production mix,” said Luke Shullenberger, managing partner at Green Lantern Capital. Mount Snow is a premier four-season resort located in the Green Mountains of southern Vermont, featuring four mountain faces of downhill skiing and snowboarding – including the east’s number one Terrain Park, Carinthia – slopeside lodging, golf at the acclaimed Mount Snow Golf Club, as well as flexible wedding and conference facilities. Other activities include snow tubing, ski lessons, snowboard lessons, downhill mountain biking, and a full schedule of festivals and events. Mount Snow is a member of the Peak Resorts family. To learn more about Mount Snow, visit mountsnow.com. Kendall Sustainable Infrastructure, LLC (“KSI”) is a private real asset firm focused on sustainable infrastructure projects. KSI’s projects serve municipalities, universities, schools, hospitals, businesses and community members. KSI is a leader in sustainable project finance. We differentiate ourselves by participating in the often-underserved small to mid-markets. Our approach emphasizes attractive financial transactions for all parties and environmental sustainability. We are thought leaders, fundamental investors, and we aim to positively impact the world with every dollar we invest. KSI is based in Cambridge, MA and is affiliated with Kendall Investments, LLC. Green Lantern is a leading developer of clean, distributed energy solutions and mixed-use real estate. Our services include strategic planning and consulting, project management and turn-key development solutions.